ARM has held its leading position in Smartphone market but Intel’s latest design to enter the wireless markets has challenged its position in the Smartphone and tablet industry. Intel Corp, the unrivaled leader in the semiconductor market has finally decided to enter the wireless court after years of meditation. 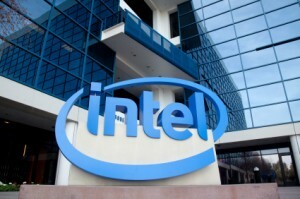 The company disclosed that three of the leading OEMs have decided to design Intel processors into their Smartphone and tablet PCs.At the last month’s Customer Electronics Show (CES 2012), Intel announced its important decision to design deals with three leading Smartphone companies: China Unicom Ltd, Lenovo Group Ltd and Motorola Mobility Inc. This year, Intel architecture will be employed in the newly launched devices of these wireless companies. As a result, the leading semiconductor company will be successful in its effort to become a leading player in the wireless industry as well. These deals represent the company’s first challenge to ARM Ltd in the Smartphone market. These design deals have huge significance for Intel. Earlier the company fought in vain against the dominance of ARM architecture. Intel’s PC-OEM partners are now worried about the emergence of another near monopoly if Intel gained a sound footing in the wireless-equipment market as well. They even speculated that the company’s powerful processors, most of which target the PC market, would not work so effectively for the cellular-phone industry. Of course, Intel could face another failure if its chips didn’t catch on. In that case, the company would have to try again. Earlier in the past decade, the company poured billions of dollars to take product development initiatives but many of the initiatives failed to produce the desired results. Recently, it began deploying its huge internal resources and the enormous cash it had built in the PC-microprocessor business. Indeed, few companies would like to have Intel as a rival. ARM has maintained its leading position in Smartphone market, but Intel’s latest design wins will most certainly indent its position. If other OEMs and telecoms embrace the Intel architecture, ARM’s market share could slip dramatically over the next few years. The latest agreements give Intel the exclusive rights it has long desired and indicate clearly that it won’t let go the chance, despite its past failures. These efforts produced the Atom processor, which China Unicom, Lenovo, and Motorola will use in their upcoming devices. Get Updates automatically delivered right to your inbox.